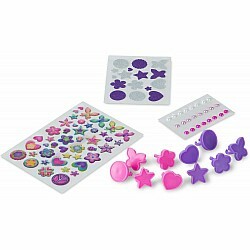 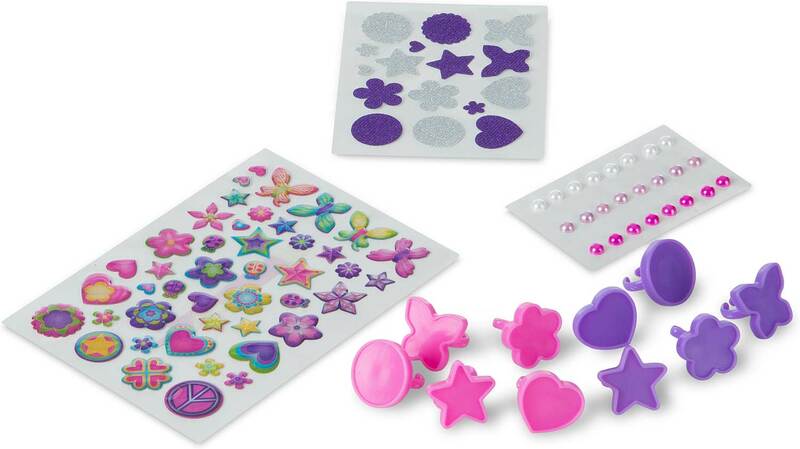 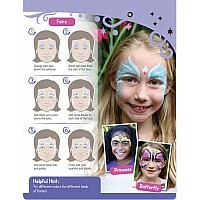 Kids can make their own sparkling, glittering jewelry with this exciting fashion activity set. 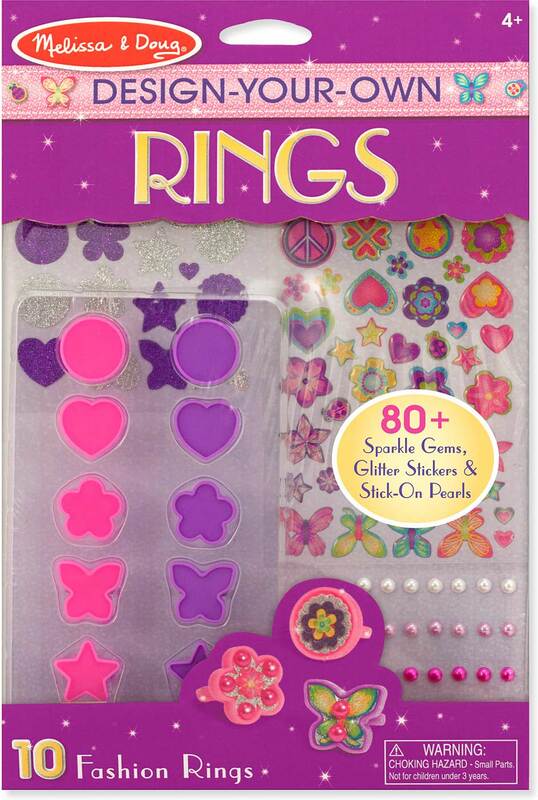 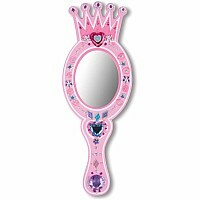 Includes 80+ sparkle gems, glitter stickers, and stick-on pearls to promote creative expression; and with 10 adjustable rings, there are enough to layer, wear one on each finger, or share with friends. 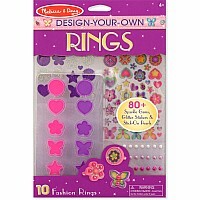 Just choose a ring, add layers of stickers, and slide it onto a finger to wear. 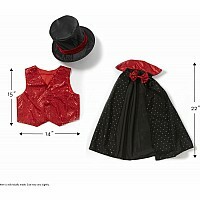 Adjustable sizing means ensures the right fit every time. 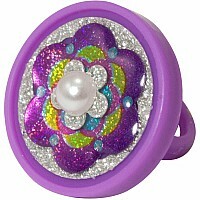 Measures approximately: 0.85 x 7.00 x 10.50 inches..